National Prescription Drug Take-Back Day aims to provide a safe, convenient, and responsible means of disposing prescription drugs, while also educating the general public about the potential for abuse of medications. At a previous Take-Back Event on April 28, 2018, federal, state, and local government entities took back a record 949,046 pounds of unused, expired, or unwanted drugs at more than 5,800 locations across the United States. Over the course of the program, nearly 475 tons of prescription drugs have been safely collected across the country, including more than 14 tons of unwanted medications in Maine alone. Federal regulations allow pharmacies, hospitals, clinics, and other authorized collectors to serve as collection points for unused prescription medication. In 2014, following a bipartisan effort led by Senators Collins and Richard Blumenthal (D-CT), the Department of Justice granted the Departments of Defense (DoD) and Veterans Affairs (VA) the ability to participate in prescription drug take-back programs at DoD and VA facilities. This initiative has helped to address the role of prescription drug abuse in many military and veteran suicides. Today, a sweeping opioids package known as the SUPPORT for Patients and Communities Act is expected to be signed into law. Senator Collins, a member of the Senate Health Committee, authored two provisions included in the final legislation that will help to ensure that unused prescription drugs do not fall into the wrong hands and to bolster peer support networks for long-term recovery. 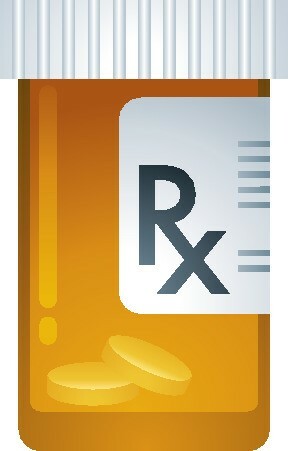 The bill also includes provisions reflecting King-led legislation to expand opioid treatment capabilities, including a permanent authorization for nurse practitioners and physicians assistants to medication-assisted treatment and removing an arbitrary limit to allow residential treatment facilities to expand their efforts to save lives. 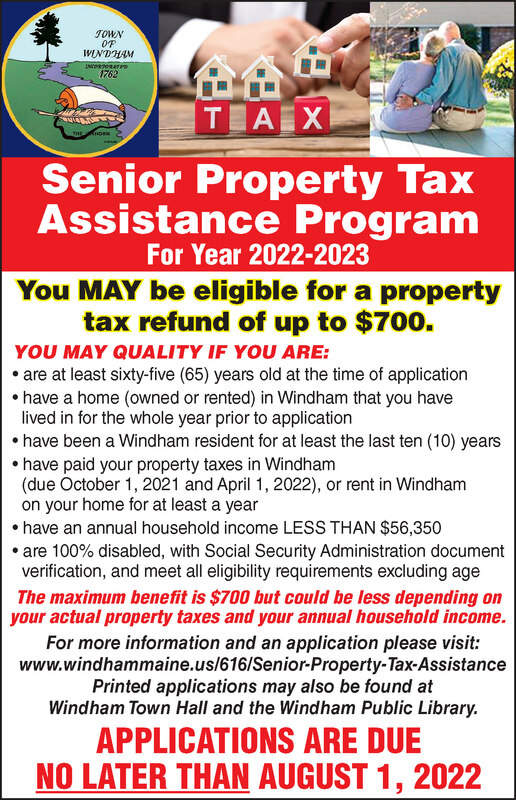 The Windham Town Council met on Tuesday evening, October 24 at 7 p.m. at the Town Hall in the Council Chambers room. Agenda items included authorization of the purchase of Public Works maintenance vehicle, the appointment of individuals to the Retail Adult-Use and Medical Marijuana Committee as well as discussion regarding the use and possible conversion of South Windham Fire station into a commercial kitchen and/or put the building up for sale. The one item discussed at length included the search for the Town Manager position. 38 years and is the employee of the Eaton Peabody Consulting Services, gave the report of the hiring process and timeline. The process will begin with approval of the time line by the council. Gerrish stated that the consulting company will strictly adhere to that timeline/process as it is approved by the council and asks that the councilors adhere to it once it has been established. 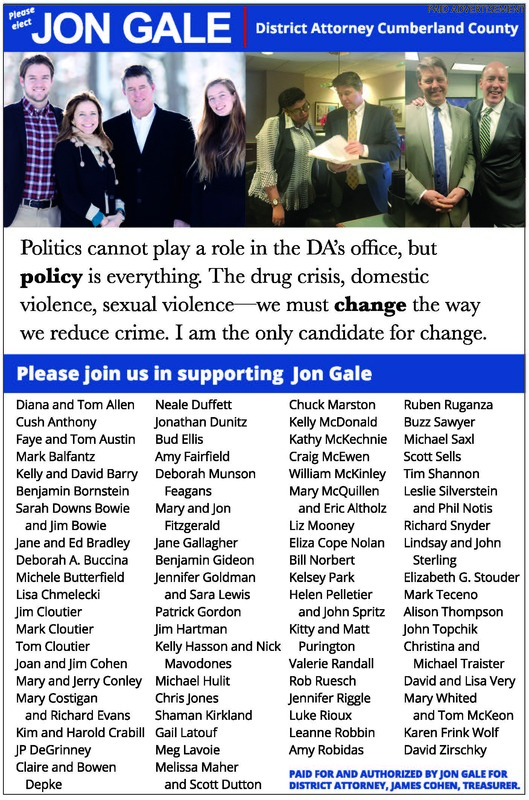 The next step is to draft and place an ad to be posted on municipal association websites, so a search can be established nationally. 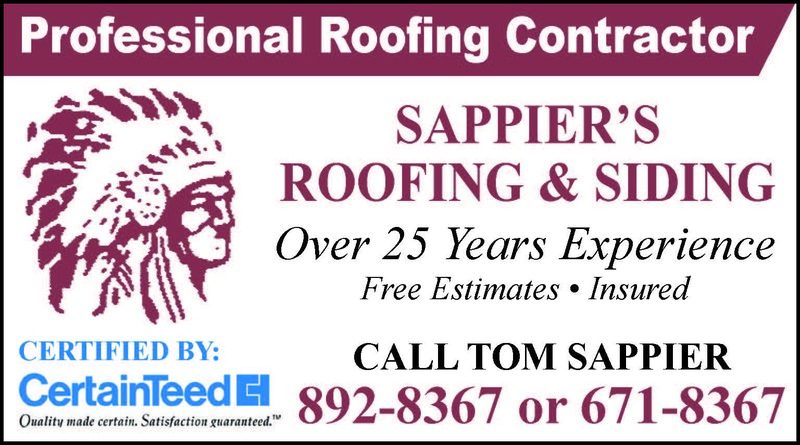 These advertising websites cost approximately $500 for a month-long advertisement. Gerrish stated, based from previous search process in other towns, to expect between 25 and 30 applicants. Once the search has been closed, a public meeting will be set for community members and business owners, etc. to have an opportunity to ask questions and learn more about the applicants. Interviews with department heads will also take place. Gerrish mentioned that for those who would not be able to attend the public meeting, a chance for email communication will be offered. This process “will give a flavor of what the community wants in a town manager,” he said. The consulting firm will then recommend, based upon feedback, who the Council might want to consider for the first round of interviews. Approximately eight individuals will be suggested for consideration. 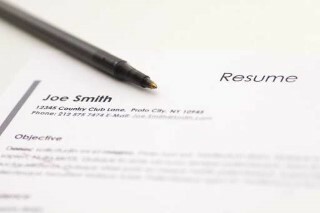 Copies of all the resumes can be submitted to the council if asked. Interviews will then take place by the Council followed by another public meeting where the two finalists will have an opportunity to meet the public in a community gathering. The two finalists will also be interviewed by department heads. From there, the Council will make the final decision and will hire the next town manager. Gerrish stated if the time line and process is adhered to and strictly followed, the new manager will be named by the second week of January. 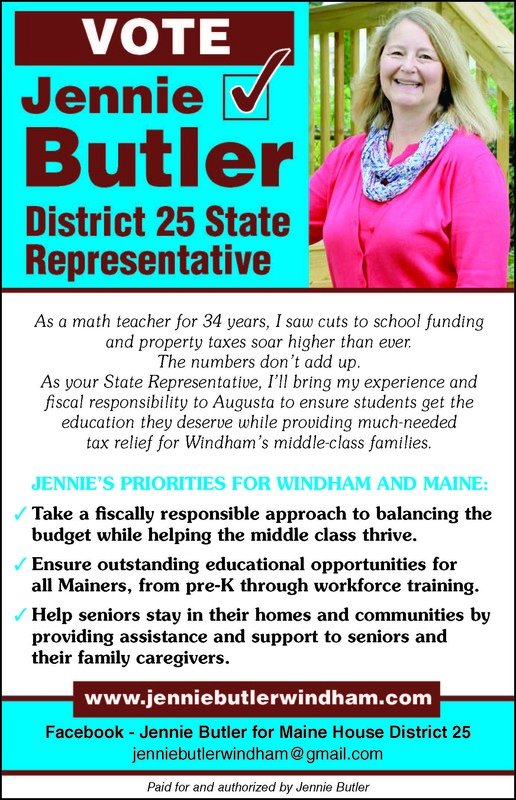 For full details of the meeting and other agenda items discussed, go to the town website at www.windhammaine.us. The meetings are also available to view on Facebook Live as well as recorded and broadcasted on 7. For young children, few things are as exciting as a fire truck! This October, the Raymond Fire Department used children’s inherent love of fire trucks to spread a message of fire safety and prevention while also having a bit of fun. 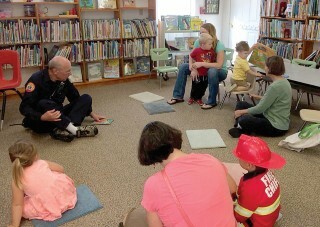 Firefighters from Raymond visited the Raymond Village Library, Raymond Elementary School and three daycare centers as well as hosting an Open House at the Public Works Building. This journalist’s guess that October is when people begin using their wood stoves was quite mistaken. In October of 1871, Facella explained, the great Chicago fire burned for three days, destroying thousands of buildings and claiming hundreds of lives. After that tragedy, October was declared Fire Prevention Month. before leading the children and their parents outside for a tour of a real firetruck. While the toddlers and preschoolers took turns holding an enormous flashlight and sitting behind the wheel of the firetruck, Facella reminded the parents of a few basic fire prevention tips, including making sure the address of your home is clearly visible from the road so emergency vehicles are able to quickly locate your house. 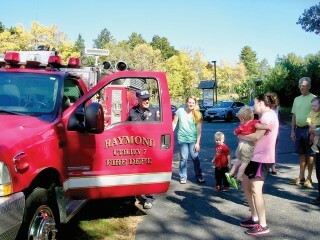 The Raymond Fire Department also visited Raymond Elementary School later that week. “It was awesome!” my eight-year-old assistant reported when I asked about the fire department’s visit. “Were there any problems?” I asked. “I guess you won’t be putting any yarn on the burners in our kitchen,” I said. Clearly, Raymond Fire Department’s message of fire safety reached my third grader. On Wednesday, October 17, the fire department hosted an Open House at Raymond’s enormous Public Works Building on Roosevelt Trail. This open house was a wonderful opportunity for children and their parents to see fire fighters in action. With all their fire-fighting gear, the firefighters look almost inhuman and, honestly, they can be a bit intimidating. Hopefully, allowing small children to see a fully outfitted firefighter in a safe and fun atmosphere means they may be less frightened in the case of a real emergency. At the open house, as well as at the elementary school and the day cares, the fire department does show children what a fully clothed firefighter looks like so that they don’t hide in the event of an emergency. The Open House also allowed children to participate in some serious firefighting fun, including squirting a fire hose which shoots fifty gallons of water a minute at brightly painted wooden building “on fire.” I decided it was part of my journalistic responsibility to shoot the fire hose, and now I can safely say it was every bit as fun as it sounds. Children also had the chance to use a fire extinguisher on a real fire of safely-contained Sterno fuel. As the children waited patiently for their chance to aim and shoot the extinguisher, firefighters asked the crowd if they had an emergency escape plan for their house and a safe, outdoor meeting place for the family. I was delighted when both my assistants said they had an outdoor meeting place, but slightly less thrilled when they gave two different locations (you’re supposed to have just one). The Open House was an excellent reminder that we needed to refresh our family escape plan. perfect dinner, we watched the Raymond Fire Department demonstrate their lifesaving extraction equipment on an old Buick. “It’s a chaotic looking scene, but everyone has a job,” the announcer explained as two firefighters maneuvered the Jaws of Life around the driver’s side door and a third removed the windshield. The night filled with appreciative gasps as the firefighters removed the Buick’s windshield. A few moments later, the Jaws of Life peeled open the car’s door. “Wow, look at that big clamp opening the door,” I told my four-year-old assistant. The Open House wrapped up at 8 p.m. Children made fire truck noises and wore red plastic firefighter hats as they headed home, where many of their parents, myself included, checked the batteries in their smoke alarms before going to bed. 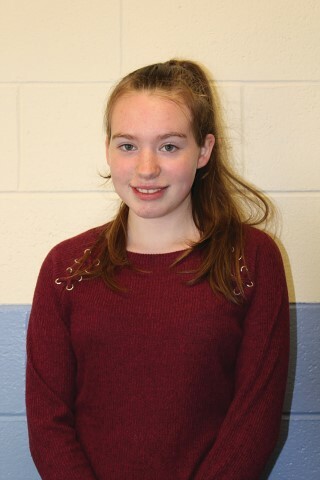 Baylee Bowman, a eighth-grade student at Jordan-Small Middle School is The Windham Eagle’s Student of the Week. Bowman states that her favorite subject is math. Bowman believes that studying with a group of students is one of the ways that makes learning fun. During her free time, she loves to read and play volleyball. Bowman lives at home with her parents, seven sisters and two brothers. LearningWorks, located in Portland, has received a $497,646 AmeriCorps grant from the Corporation for National and Community Service. This grant supports AmeriCorps members who will provide tutoring, mentoring, and extracurricular enrichment for students who are not yet meeting literacy and math benchmarks during the 2018-2018 school year. LearningWorks reached out to Windham Primary School (WPS) to inquire if they may be interested in participating in the grant program. 1) Half-time – This is a 25 hour per week volunteer position that provides a $5,500 annual living allowance and a $3,000 education award that an individual can apply to college courses or student loans. 2) Minimum-time – This is a seven to 10 hour per week volunteer position and provides a $1,290 education award that can be applied to college courses or student loans. For those who are 55 and older, the education award can be gifted to children or grandchildren. 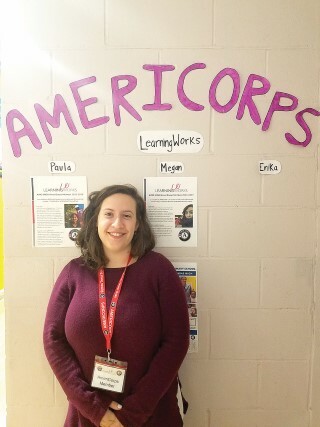 There is one full-time position that acts as a liaison between LearningWorks and the WPS AmeriCorps volunteers. Megan Campbell was recently hired to fill this position and she began her role as a full-time Lead Member on the first of September. She will oversee the day to day operations at WPS. Rhoads stated that WPS continues to seek more volunteers to assist Campbell and the rest of the WPS staff. “Volunteers are integral to our success and improving the education of our learners. They also allow us to provide other enrichment activities that may not be feasible to fund or staff by local means. To apply for an AmericCorp position, email aimshigh@learningworks.me or call (207) 517-3137. For more information about the program as it relates to WPS, contact Rhoads at krhoads@rsu14.org or Campbell at megancampbell710@gmail.com. 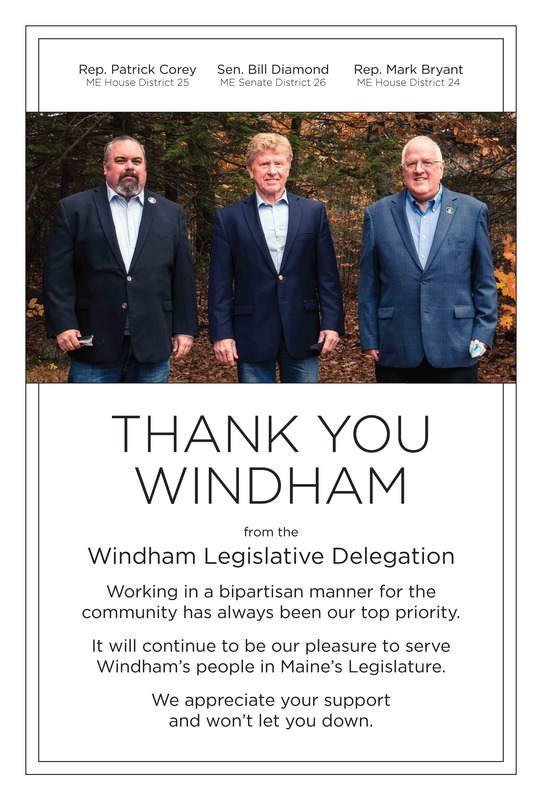 The Windham Town Council met on Tuesday evening, October 16 at 7 p.m. at the Town Hall in the Council Chambers to discuss a variety of agenda items. 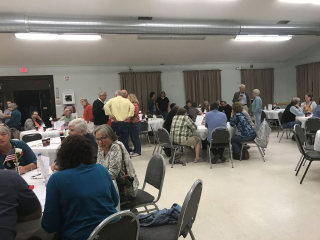 The subject discussed at length and included many comments from the public was the 180-day extension to the Mineral Extraction Moratorium Ordinance. The initial moratorium was established on June 13, 2018. 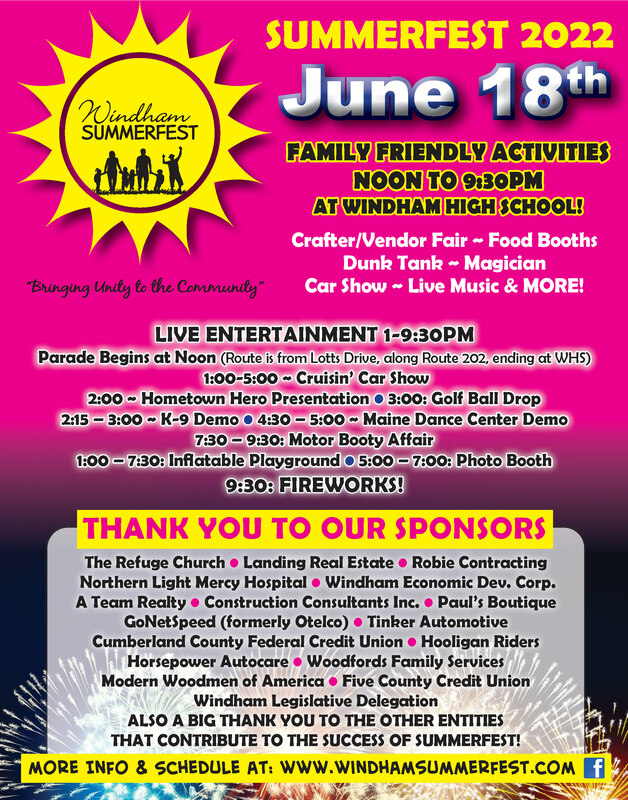 Briefly, due to the steady increase in residential and commercial development, the Town of Windham is in the process of reviewing and amending town ordinances that include regulations regarding quarrying and mineral extraction. A concern considered due to mineral extraction include the environmental health where extractions occur near bodies of water. These areas are (but not limited to): Sebago Lake, Little Sebago Lake, Pleasant River, Black Brook, Otter Brook, Colley Wright Brook, Inkhorn Brook, Little Duck Pond, Highland Lake, and Forest Lake. 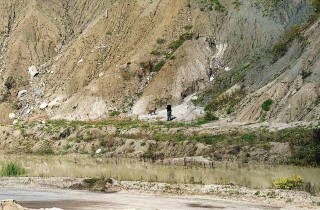 Additionally, there are vast concerns surrounding the possible serious threats to the public health, safety and welfare of the residents of the town by conducting such mineral extraction activities without adequate provisions for issues of safety, noise, vibration, dust, groundwater protection, setback distances, etc. Although only six members of the public officially expressed their support of a moratorium extension, over 20 residents were in attendance and no one spoke out against the extension. *Concerns were expressed regarding damage that has occurred in home foundations, walls and wells due to quarry blasts. *Zoning ordinance should be reviewed along with the mineral extraction ordinance. 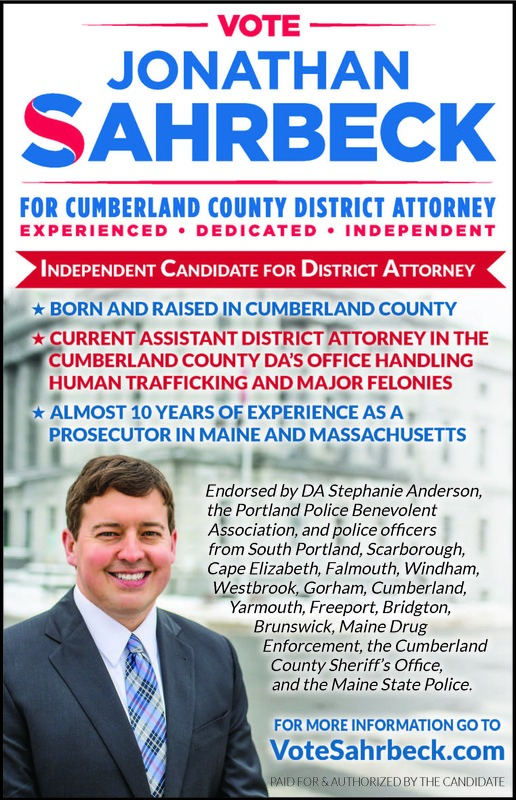 *It was suggested that the quality of life and environment should also be considered for the surrounding communities such as Cumberland and Falmouth. *It was suggested that no more quarries be allowed within the town limits. After listening to and considering public comments, members of the Town Council also expressed their concerns regarding mineral extractions. Councilors Tim Nangle, Rebecca Cummings, Jarrod Maxfield and Dennis Welch stated they would be voting for the extension. For transparency purposes, Councilor Robert Muir expressed that he works for the Copp Family. He clarified that he does not work, however, for the mineral extraction portion of the family business and that he would not financially benefit whether a certain quarry exists or not. The mineral extraction moratorium ordinance passed, six for and one against (by Councilor Clayton Haskell). The moratorium will be extended for an additional 180 days. 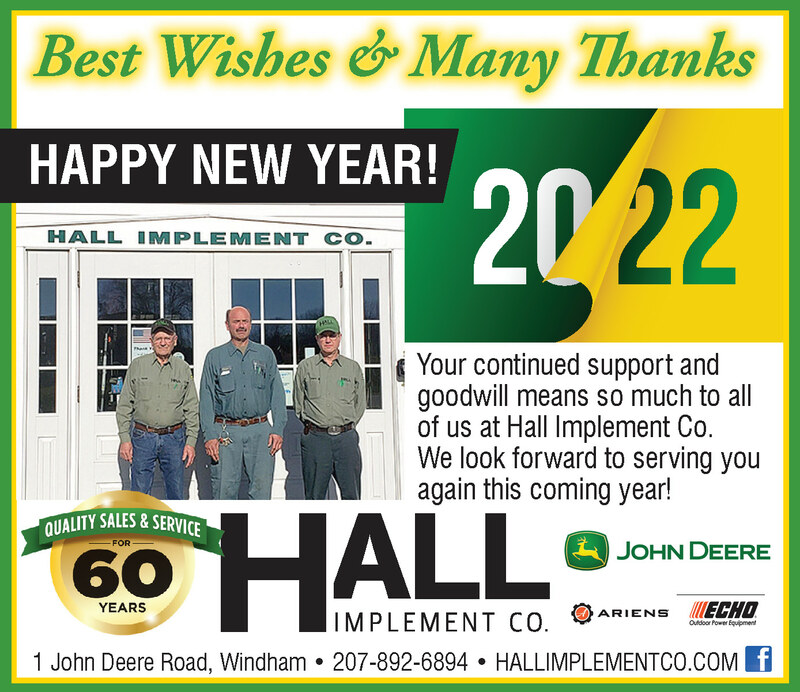 For full details of the meeting and other agenda items discussed, go to the town website at www.windhammaine.us. The meetings are also available to view on Facebook Live as well as recorded and broadcasted on Channel 7. Suicide is a terrible tragedy. It devastates families and sends traumatic shock waves through our entire community. In the aftermath, it has many of us asking ourselves why and trying to figure out what could have been done differently to save a life. While there may be no definitive answer in each case, it can’t hurt to be armed with the facts, aware of the signs and know where to turn for help in a crisis situation. In Maine, the rate of suicide has increased significantly over the past fifteen years. According to a report from the National Center for Disease Control, Maine’s suicide rate jumped more than 27 percent between 1999-2016. While the increase in part reflects national trends, it’s still deeply troubling. With so many Mainers struggling with mental health, we need to make sure we do everything we can to prevent suicide in our schools, in our families and ultimately in our communities. To start, it’s helpful to become familiar with possible warning signs. 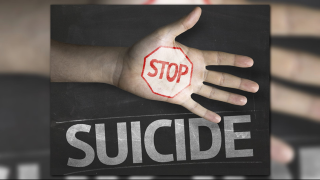 The CDC has identified twelve different signs that could indicate someone is a suicide risk. The signs range from changes in behavior to more obvious expressions of suicidal thought. The signs include feeling like a burden, isolation, feeling trapped, increased substance abuse, increased anxiety, increased anger or rage, extreme mood swings, expressing hopelessness, dramatic changes in sleeping patterns, looking for access to lethal means, talking or posting about wanting to die, and making plans for suicide. If someone you know and/or love is exhibiting these types of behaviors, I urge you to check in on them. Whether they are considering suicide or simply struggling with their mental health, it cannot hurt to let them know that someone cares. It’s also crucial to know what to do if someone is at risk. The National Suicide Prevention Lifeline recommends following five simple actions steps to reduce someone’s risk of suicide. The first step is to ask them point blank if they are or have ever considered committing suicide. This may seem jarring but it’s important to be upfront and non-judgmental to get the facts. The second step is to keep them safe. Identify the methods of suicide that they have considered and do what you can to eliminate those methods as options. The third step is to be there as a support system. Check-in regularly so an at-risk individual knows they are not alone and that someone has their back.The fourth step is to connect a potential suicide risk with robust mental health resources. As friends and family, we can only do so much. Mental health professionals are an essential part of suicide prevention. The final step is to follow up. Reminding someone with suicidal tendencies or thoughts that you care on a regular basis can reduce the likelihood of suicide. 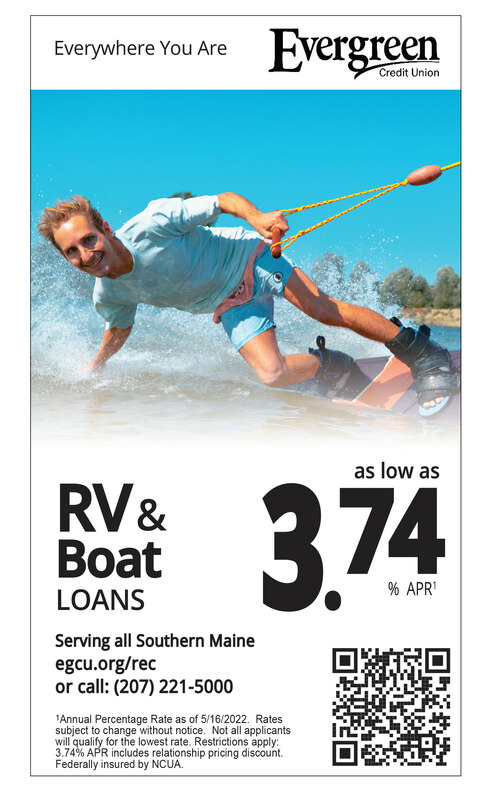 Finally, it’s critical that Mainers know where to turn for help. As a state, we are fortunate enough to have several resources to help families and communities deal with this serious issue. If it’s an emergency, the best place to turn is the Maine Crisis Hotline, which can be reached at 1-888-568-1112. The hotline essentially serves as a one-stop shop around the clock for emergency assessment, intervention and short-term mental health treatment. It works efficiently to connect individuals with appropriate crisis response services in their communities. In Cumberland County, adults are connected with the Opportunity Alliance and children are connected with Sweetser. Both are widely respected organizations with a number of trained professionals prepared to get you and your family through this crisis. Another option is the national helpline which can be reached at 1-800-273-8255. While we cannot bring back those whose lives were cut short due to suicide, we can raise awareness, improve mental health education, get rid of the stigma and get the facts. Knowing what to look for and where to turn for help could save a life. 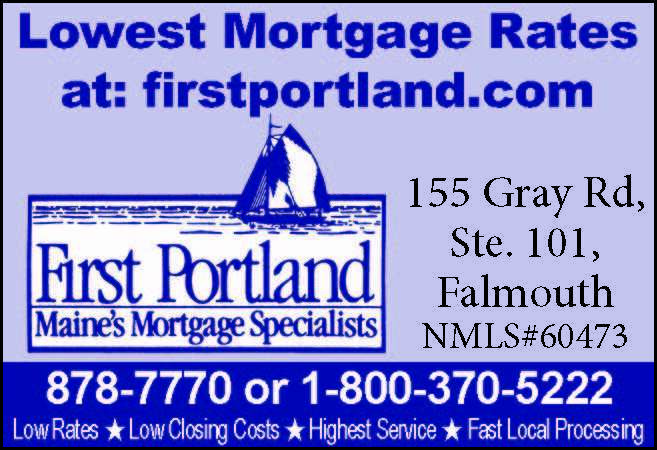 As always, please feel free to contact me at diamondhollyd@aol.com or (207) 287-1515 if you have any questions, comments or concerns. The Windham Fire and Police departments held a Public Safety Day on Saturday, October 6th at the Public Safety building in Windham. This informational event featured tables set up providing information about various programs, such as: the Yellow Dot program, a free program designed to help first responders locate you faster after a crash or medical emergency; the Dare to Adventure Program, a program designed to give kids healthy alternatives, keeping them away from drugs and the Be the Influence program, which also teaches kids about the harmful side effects of drugs. There was also a distracted driving simulator and a coloring station and Officer Steve Stubbs put on a K-9 demonstration with his dog Kora. There were fire trucks and police cruisers available for children to see and explore. Children also had an opportunity to play a game where they got to spray a fire hose, with some assistance from a firefighter. Terri Gould, and her son, Dezzmon said they came to Safety Day because it was a way to have fun and explore the concepts of police and fire safety. The Windham Police Department held a “Coffee with a Cop” event at Duck Pond Variety in Windham on Wednesday, October 3rd. This was a chance for members of the community to speak with police officers in an informal setting where there was no set agenda, share some thoughts and ideas and get to know each other. “Coffee with a Cop” Day was nationwide last Wednesday and it was the first time that the Windham Police Department had tried it. From what I observed at 8:15 in the morning, it was a success. Duck Pond Variety was full of individuals talking with local Windham Police officers and connecting in the way the event intended. “It’s a really good opportunity for our officers to engage with the community and meet new people,” said Chief Kevin Schofield. it’s easy to come talk to us,” remarked Officer Matt Cyr. “I came out to show support. I think they do any excellent job for the town. 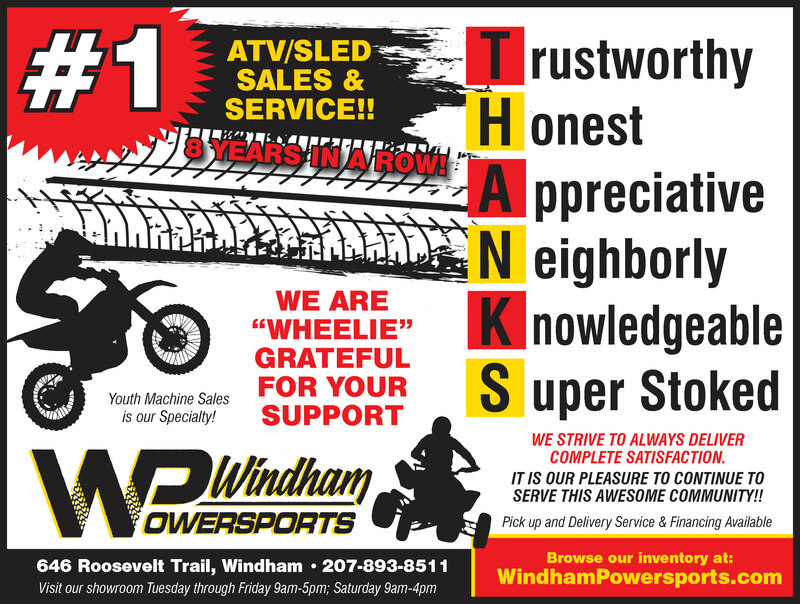 I just like to...show my appreciation for what they do,” commented Windham resident Dave Nadeau. The Windham Police Department is hoping to pick different locations around town and do it four to five times a year and is looking to hold another ‘Coffee with a Cop’ event in November. 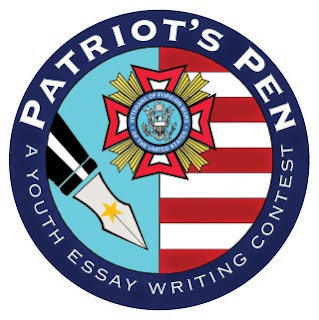 Commander Willie Goodman of the Windham Veterans of Foreign Wars (VFW) Post 10643 has announced the kickoff for this year’s VFW Patriot’s Pen and Voice of Democracy essay competitions. Students have the opportunity to compete in these VFW annual essay competitions and win thousands of dollars in scholarships in either competition. The first-place state winner of both competitions receives a four-day trip to Washington, DC. The first-place national winner receives $5,000 for the Patriot’s Pen winning essay and the first-place winning essay nationally for the Voice of Democracy receives a $30,000 college scholarship. Students begin by competing at the local Post level. Post winners advance to District. District winners compete in the State competition. Deadline for student entries is October 31st. Interested students and/or teachers should contact VFW Post 0643 by phone at 207-228-4329 or write to the post at P.O. Box 1776, Windham ME 04062. Space to hold the event? Check. Food to eat? Check. Desserts and tea and a musician too? Check, check, check. Republicans and democrats together in the same room? Now, that was the unknown. After months of work by a team of seven from various political persuasions, multiple invitations, bulletin board postings, Facebook shares and phone calls, the organizing committee were still unconvinced that when the doors opened on Thursday, September 27th at the Windham Veterans Center, the room would begin to fill with community members willing to engage in a civil conversation, exploring the political divide. To our cautious optimism, the room did indeed begin to fill, and the shape and size of the divide began to be mined, civilly and intelligently. Approximately 50 people attended the event. With the various statements defining our differences, our commonality became palpable, the recognition that our experience as Americans, was as big and complicated as the Country itself. Respect and empathy reigned as each person who wanted to, moved into sharing their reactions and deep concerns to where we are now in this period of rapid and perplexing change. In just under two hours, people moved from crossed arms and suspicion, to leaning in eye to eye, with genuine efforts to understand. There were smiles and laughter, pauses and quizzical looks and even among the frowns and the shaking of heads, there remained good hearted connection. In an evening designed for listening, hearing and being heard, a few individuals didn’t get all of what they were hoping for, particularly if they and/or the person they greeted was interested in only changing minds. But the comments heard most, were the requests to do this again. “This was an excellent experience and is really needed,” one individual commented. In an age when threads of commentary on social media can render our community relationships, thin and breakable, the Make Shift Coffee House platform offers a refreshing infusion of hope as can only be found in community, no matter our differences.